Have I been bombarding you guys with too much event posts? Hope you guys don't mind. There are just sooo many wonderful makeup releases for Summer that I can't wait to share them with everyone! :) And here I am again, with another event post about ArtDeco's newest collection for Spring/Summer 2013. Ah, Butterflies. You gotta admire how their airiness would remind you of the tenderness of the sunny season, and how they'd add a touch of happiness to the bright blue sky with their vibrantly colored, fluttering wings. Butterfly Dreams is a new makeup collection by ArtDeco, inspired by the natural beauty of Butterflies and the light-heartedness of the Spring/Summer season. 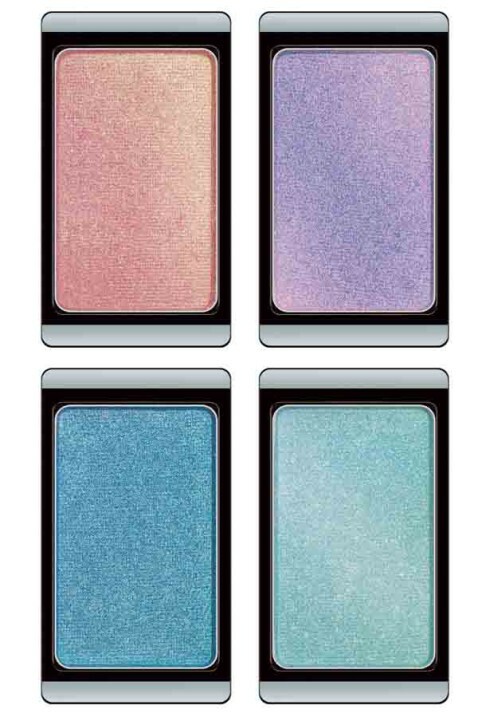 The look for this collection is innocent and fresh, with subtleties of blue and pink on fresh, dewy skin. 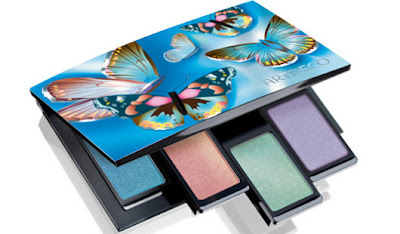 I really like this collection because it allows every woman to experiment with intimidating colors such as blue and pink for daytime wear, and the shades, especially the eyeshadows, are very friendly to young adults! Click READ MORE for the entire collection! It's basically a complete line with makeup items from eyeliner to nail lacquer. There's also the limited edition Butterfly Dreams Beauty Box Quattro, ArtDeco's version of the customizable makeup palette. My most favorite items in the collection are the nail lacquers because they're very pigmented, and the finish doesn't look cheap in the slightest. They're the only frosted nail polishes that I actually liked! Here's Ria of Beauty Bar, doing the signature Butterfly Dreams look on Tara of Chronicles of Vanity. Me and my butterfly girls. LOL. Thank you Beauty Bar for the dreamy, wonderful lunch at Bizu! A customizable makeup palette where you can house your favorite ArtDeco eyeshadows, camouflage creams, brow powders, blush, and concealers, painted in spring- worthy hues. 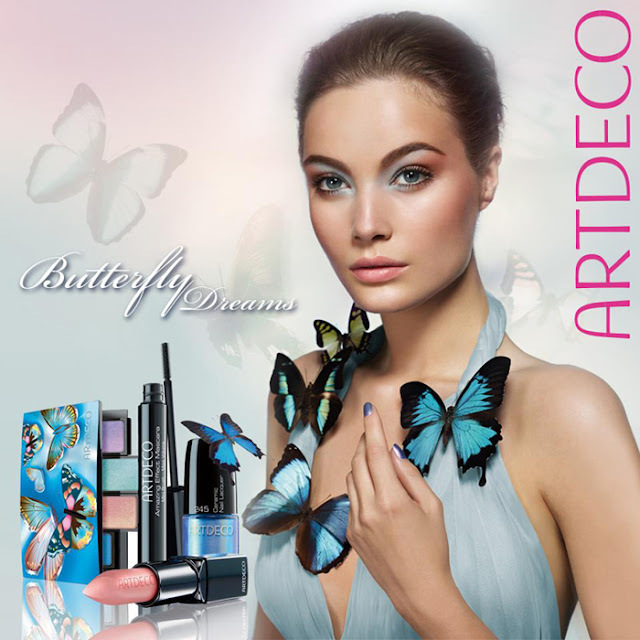 Sheer, cool- toned shades in a light frosted finish, inspired by the colorful wings of a butterfly. 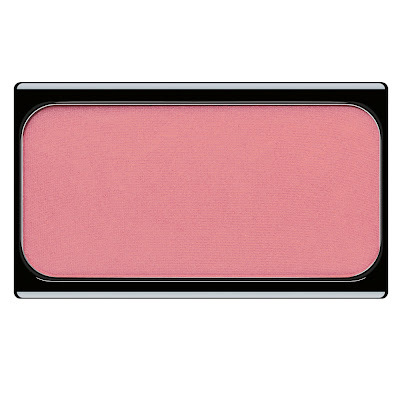 A soft- textured, universally flattering midtone pink that adds a natural, summery flush to the cheeks. 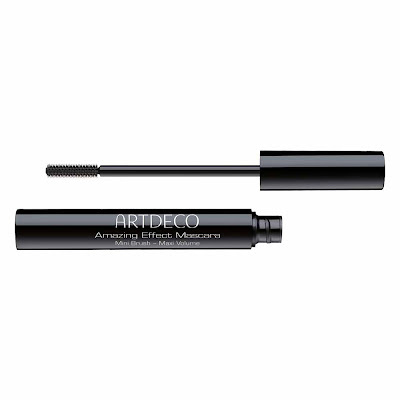 A volumizing mascara with a special mini brush that catches all lashes in one swipe! It is made with Jojoba, Candelilla, Carnauba, and Sunflower wax to keep lashes smooth and soft during wear, and Calendula extract to soothe and prevent irritation. Can be used to coat lower lashes effectively too. An ultra creamy, pigmented, rich eye pencil defines eyes in a single stroke. 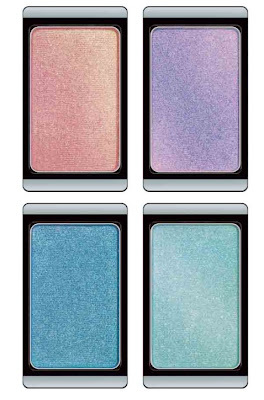 It can be used alone or as an eyeshadow base for bold, dramatic eyes. Its special waterproof and smudge- proof formula is perfect for people suffering from Blepharochalasis, or excessive skin hanging on the eyebrow and lid area. 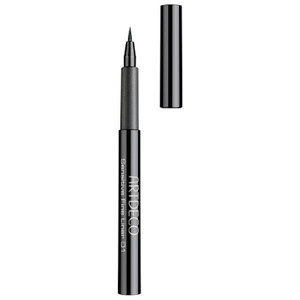 A long- lasting, opaque, quick drying eyeliner with a soft, blendable texture, making it perfect for people with sensitive skin around the lids. 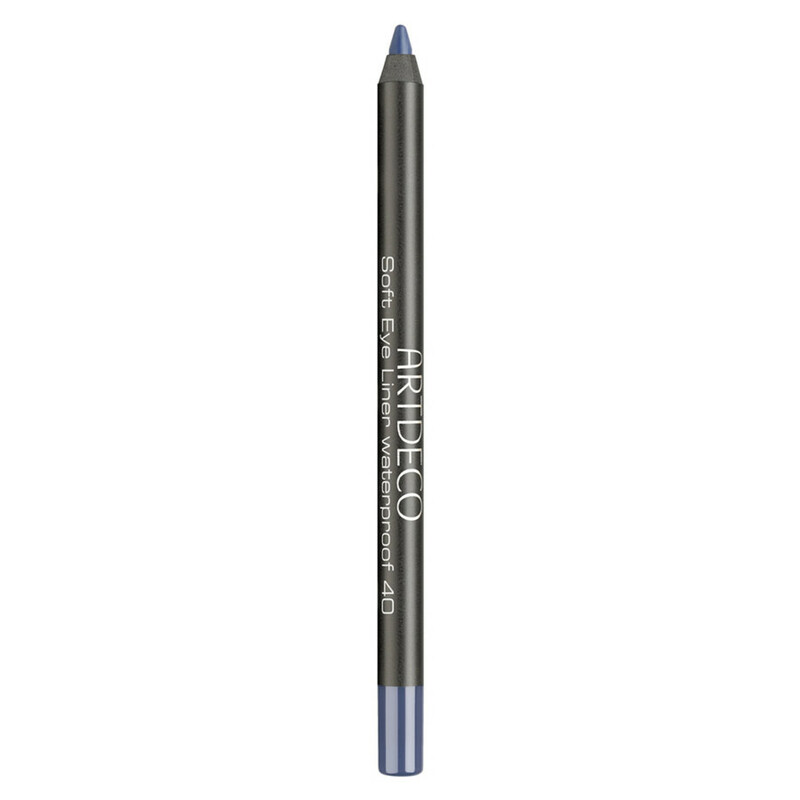 Contains Vitamin E.
A long- wearing, washable, no- sting eyeliner with an ultra smooth and soft felt tip specially formulated for people with sensitive eyes and contact lens wearers. 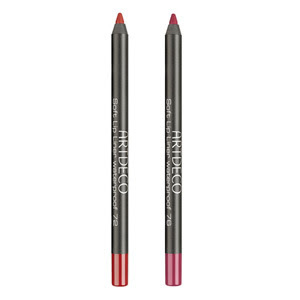 A counterpart of the Soft Eyeliner, this long- lasting lip liner withstands all- day wear and keeps lipstick colors from smudging and bleeding around the lips. 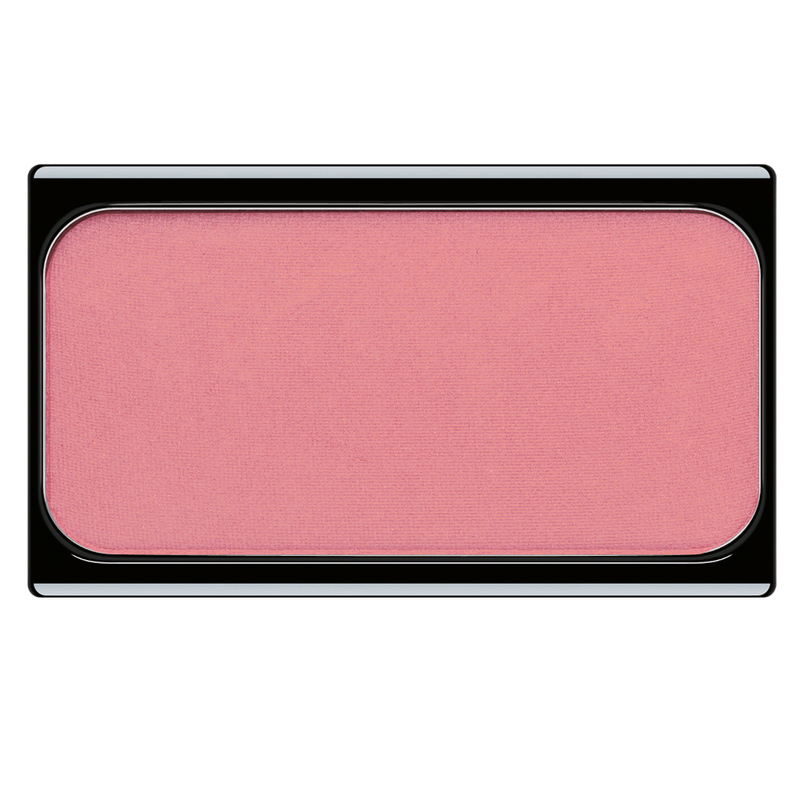 An emollient, sheer lip color with SPF 15 and Candelilla wax for a more pleasant application. A rich lipstick with an opaque finish. Provides an even coverage in a single application, and has Vitamin E to keep lips healthy. 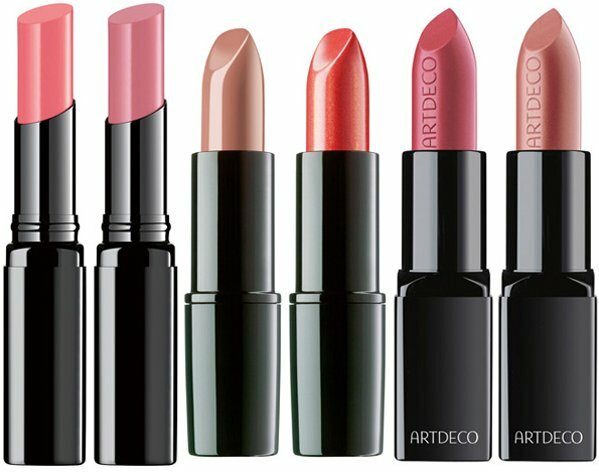 It comes in a specialized metal sleeve that protects the lipstick from melting when exposed to heat. A luxurious lip color with a dose of sensual shine. Its creamy, gel-like, melting consistency drenches the lips in pure color, while its Hop extracts keep lips supple for a long time. A creamy, pigmented, easy-to-apply nail polish with a patented formula: Ceramic particles were combined with Plasticizers and Polymere to give ArtDeco's signature nail lacquer collection an optimum consistency, perfect coverage, and chip- resistant finish. Any thoughts on this new collection? What are your faves? Please visit BEAUTY BAR PHILIPPINES on Facebook for more information about this line. 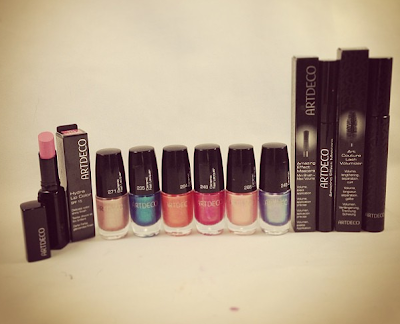 I like the nail lacquer as well, all of the shades you showed in this post Ms. M! I also like to try their felt tip eye liner and the Hydra Soft Coral. Ever since i read that ur fave concealer is art decos camouflage cream, i bought it!at tama ka nga!and mura ang price nia pa. Parang drugstore price pero suerb quality. I will check out yan lipliner nila.baka i can work my russian red s waterproof liner. I like to get the customizable palletye kaya lng ang mahal! Im excited for the mascara review din hahaha lahat nalang gusto ko. Im not too keen on the nail polishes though. 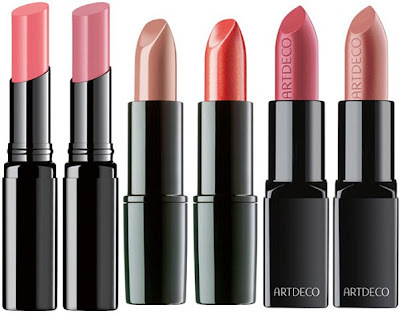 Wow very summer and feminine ang theme ng artdeco makeup collection. 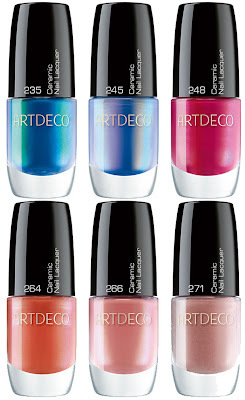 And the nail lacquers' colors look very pretty! Wow very summer and feminine ang theme ng Artdeco!